When A-SAFE invented the world’s first flexible, polymer-based barrier in 2001 it transformed health and safety and barrier protection in the industrial workplace. The core properties of A-SAFE barriers then, remain in place today – on impact from a workplace vehicle, A-SAFE barriers flex, absorb 80% of the impact forces, then reform to their original state. This principle alone saves companies vast amounts on their health and safety budgets. Replacement barriers, manpower and downtime are greatly reduced and the ultra-low maintenance properties of the MemaplexTM polymer (no repainting, non-scratch, non-corrosive, no substrate repairs) means the return on investment is increased even further – and is fast and permanent. 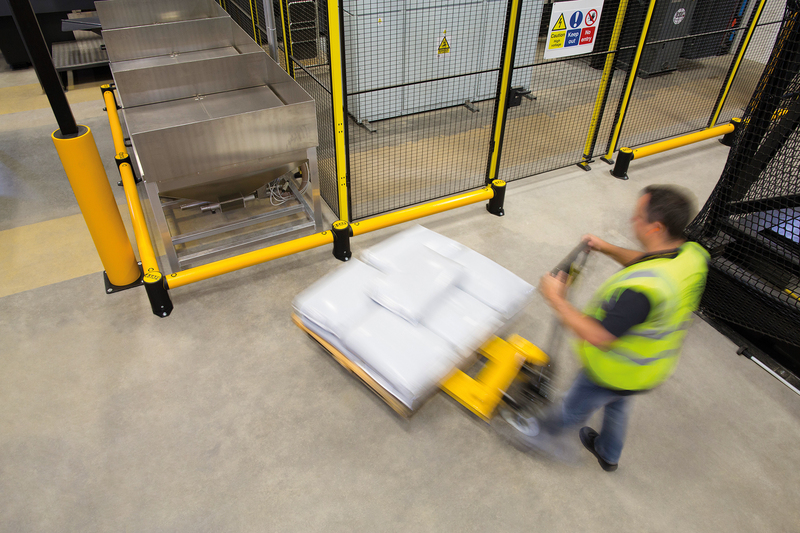 When A-SAFE barriers were installed in the baggage handling area in Gatwick Airport, barrier maintenance and replacement costs were cut from £100,000 per year, to just £3,000 over a five-year period. Posts are now 400% stronger and rails 60% stronger and longer, creating a safer, more economical system. A built-in modularity gives customers ultimate flexibility, allowing barriers to move or adapt as a facility changes. Hygiene seals and an absence of ingress points are revolutionary for sensitive manufacturing industries such as food and drink or pharmaceutical. A multi-directional capability allows the barriers to fit better and more economically in to any facility, removing the hard angles that can often be the cause of accidents. A well-protected, well-organised, modern looking facility not only protects a business’s assets, it reassures and invigorates the personnel, boosting productivity and morale in the process. A seamless, streamlined exterior combines with a uniform cylindrical design to create an organised aesthetic appeal for modern workplaces. A carbon footprint reduction of 450% over steel equivalents, taking into account the manufacturing processes, reduced maintenance demands and vastly decreased need for replacement barriers. A-SAFE products are for use in most industrial environments, including: warehousing, factories, facilities management, airports, car parks, food and drink manufacturing, pharmaceutical, automotive manufacturing, cold storage, distribution centres, retail outlets, rail, transport depots and more. All A-SAFE barriers are fully tested in-house using in-depth FEA analysis on independently-approved equipment so they meet – and surpass – all relevant regulations. 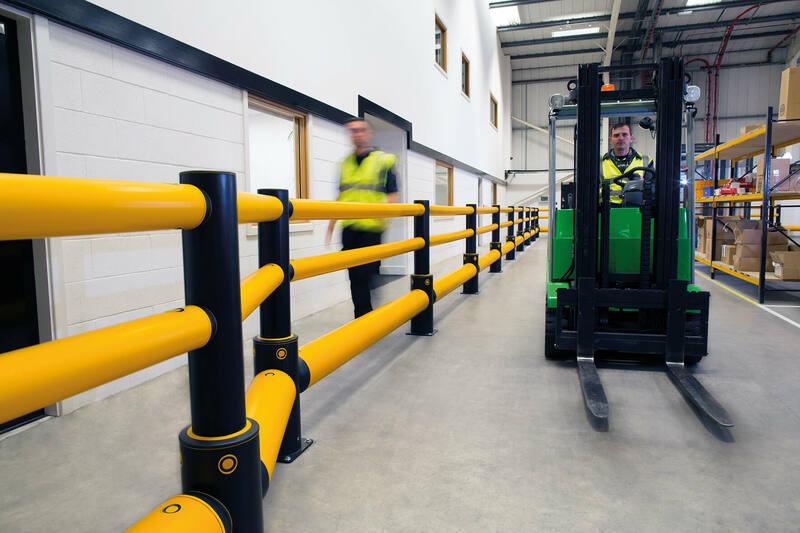 A-SAFE use a scientific understanding of the impact forces created by workplace vehicles at different speeds, loads and angles in order to always install barriers that are fit for purpose. Some of A-SAFE’s clients are: Amazon, Unilever, Nestlé, 3M, IKEA, BMW, Jaguar Landrover, Lego, Caterpillar, UPS, Coca-Cola, Heineken, Smurfit Kappa, Proctor and Gamble, MARS, Kimberly Clark, Kuehne + Nagel, Volkswagen.